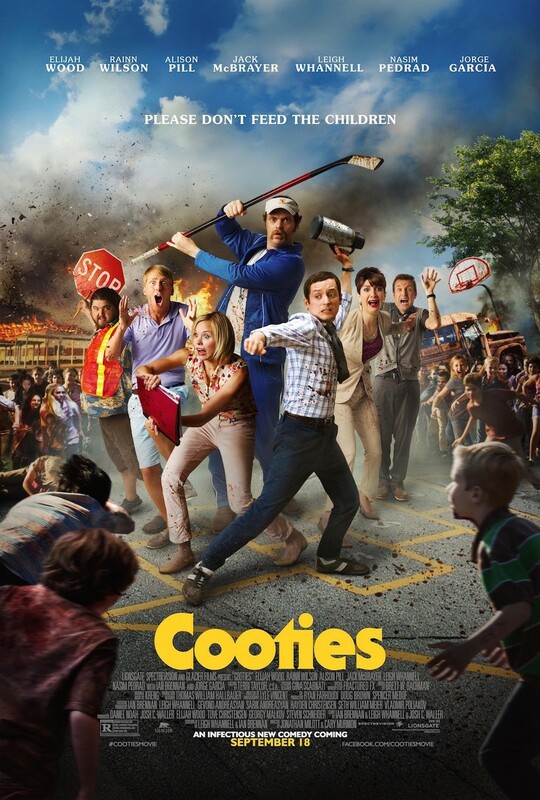 Cooties DVD and Blu-ray release date was set for December 1, 2015. Clint Hadson, a would-be novelist forced to return to his hometown, already has a difficult job: substitute elementary school teacher. His days are spent pining for his high school crush and name-dropping the novel that doesn't exist. When a bad batch of chicken nuggets unleashes a dangerous virus that turns a child into a zombie-like beast, Clint's job suddenly gets a whole lot harder. The virus spreads like wild-fire through the classroom, and the school. Now, the teachers must band together to save the children and themselves from a fate worse than death.